Japan and Vietnam are moving ahead in developing rare earth industries, as the shortage of the metals becomes more apparent. They are keen to challenge China's decades-long monopoly in the field. ­The two countries opened a joint research center in Hanoi following an agreement on rare earth cooperation, signed by Vietnamese Prime Minister Nguyen Tan Dung and his Japanese counterpart Yoshihiko Noda last October. Rare earths include 17 minerals used for many modern technologies like hybrid cars, weapons, flat-screen TVs, mobile phones, and mercury-vapor lights. China has about 30% of rare earths deposits and currently accounts for more than 90% of global supply. 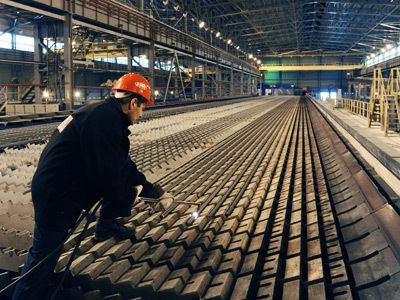 In 2009 Beijing imposed export quotas on rare earths, forcing many tech producers to move their production to China. Besides that Beijing also limited the number of companies licensed to sell abroad. Japan has been concerned to cut its rare earth dependency as Tokyo used to import about 60% of China’s production for its tech industries. 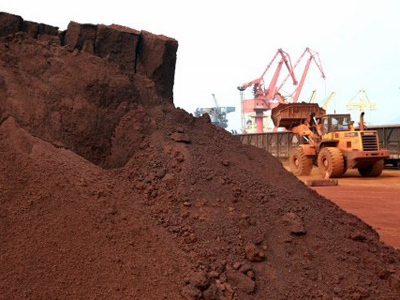 Some Japanese companies such as Toyota and Shin-Etsu Chemical have already developed rare earth mining in Vietnam, which is among a few countries in the world holding rare earths reserves. Mitsubishi and others are exploring developments in Kazakhstan and Brazil. Last year scientists from the Japan Agency for Marine-Earth Science and Technology issued a study claiming the deep sea mud in the Pacific Ocean is potentially the biggest rare earth mineral deposit in the world. Moreover, Japan along with the European Union and the US submitted an official complaint to the World Trade Organization about China's export policy. They said export restrictions violate free-trade rules as they push up rare earths prices abroad and give buyers in China an unfair advantage. In response China issued a white paper stressing the export curbs on rare earths are necessary to control environmental damage. "The protection of the environment is never a pretext for gaining advantage or increasing economic returns," Su Bo, a Deputy Industry Minister, said on Wednesday.